The eighth generation of Sun Odysseys is about to hit the market, complete with twin rudders, a retractable bow thruster, L-shaped keel and integrated bowsprit. Several new features make it easy to move around on deck, including extendable cockpit coamings that form a sundeck, main and jib winches easily accessible from the helm, and separated shrouds. 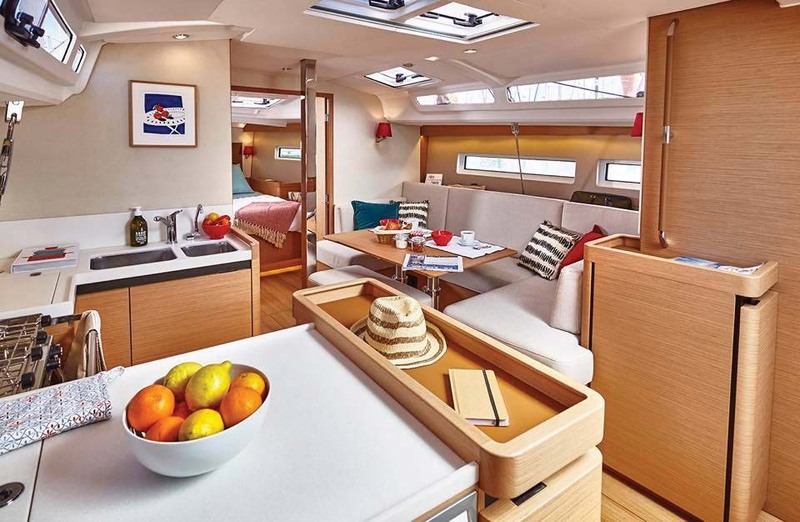 Below decks, the contemporary interior is bright and airy, with lots of natural light, galley amidships for easy access from both the cockpit and saloon, double-doors to the spacious owner’s cabin, and two double guest berths aft. See one at the Annapolis Sailboat Show (Dock F1).